Thomas has been a staple of the Soulful House Music scene during the past 20 years in Minneapolis. A DJ who made his name at the long-standing club, First Avenue, as well as with his roaming parties under the moniker, House Nation Under A Groove. All this was done while paralleling his music world with his investment-banking career during the 90’s, walking on both sides of the Wall Street and Entertainment Media fence. For Deep Haven Productions, Thomas Spiegel, a pioneer and early soldier of house music in southern California and New York City in the mid 80’s & the original creator and founder of HNUG along with later co-partner Kevin Cole go on to create and produce many of the twin cities largest and most successful dance parties, and launch what is now dance music history in Minnesota. 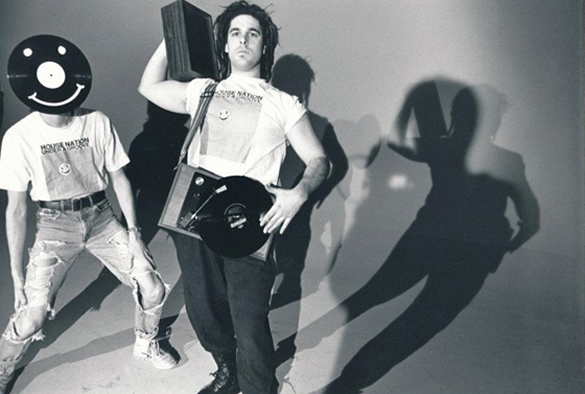 Their parties spawned a generation of producers, label owners, remixers and DJ’s in the Midwest and beyond. Their parties were legendary in their attention to sound, design and most importantly commitment to safe, healthy places to unite in the spirit of beautiful dance music. 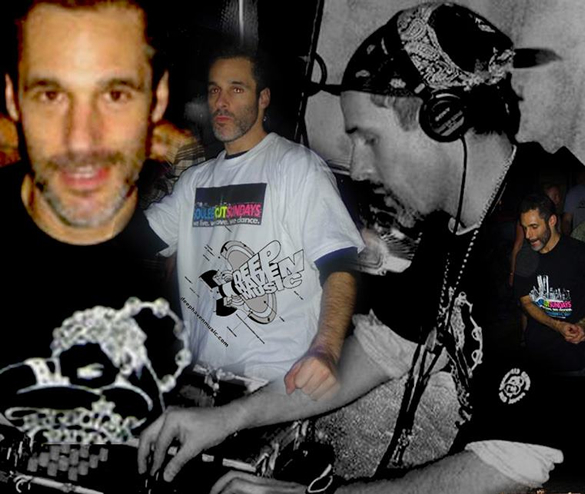 Known as DJ Man-X he has featured his brand of dance music in seminal clubs such as; Danceteria 2, Havana 3 am, Japan, Limelight and many unnamed after hour spots from Brooklyn to the Bronx, as well as numerous spots in the southern California area. He has been a featured radio mixer on commercial, college and community radio for Los Angeles, San Diego, New York City and Minneapolis markets over the past 20 years. He had a weekly show on Cyberjamz internet radio which could be heard globally & was a special guest DJ on far too many stations to mention individually. He along with partner Curtis Urbina (Originator of Quark Records) started the legendary imprint Deep Haven Music and amassed in the span of 3 years a catalog of over 30 releases. In the Quark years Man-X worked for Urbina in a promotion capacity and learned the many skills necessary to later run a label and survive in the music business. Quark Records was responsible for launching the careers of many current dance music legends. Such notables include: Roger Sanchez, David Morales, Blaze, Dave Lee. 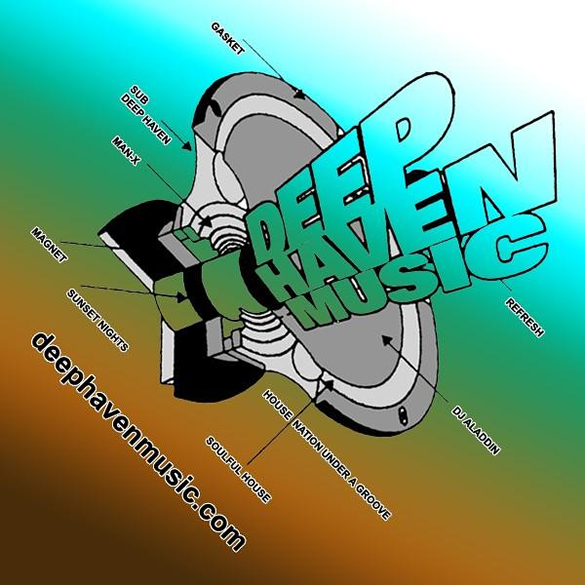 Since the birth of Deep Haven in mid 2005, the two quickly built a catalog and release history to make many in the industry stand up and take notice. Some of the artists and producers they have featured on Deep Haven include: Carolyn Harding, Albert Sterling Menendez, Blvd. East, Scott Wozniak, K.T. Brooks, Stephanie Cooke, Big Brooklyn Red, Dave Marcus, Stephanie Renee, Eliza Neals, Groove Assassin, Will “Reelsoul” Rodriquez, Blaze, Arnold Jarvis, Marlon D, Rita Quintero, Jenny Morrison, Mario Inchausti, Chris Perez, Fuzion – George Mena & Franke Estevez To name a few. Before his passing, Thomas and Deep Haven Music continued to push the boundaries of underground club music and position themselves as a “global leader” in the music industry. As we mentioned previously, many people within the music industry have had their careers started or had major guidence influeunce which propelled them on to a successful careers they have today. Many of them have shared their testomonies below. Thomas my best friend and Brother, DJ Man-X. I pray to have the strength to realize that my you will not be with us again. I have emotions I want to express and I somehow don’t know how to put them all in words. But I do know that it will take some time for myself and all of us to be at peace with the reality that he is no longer with us. I met Thomas in 2007 and we became very good friends and business working colleagues in the music industry. We had a very strong friendship from that point on. We performed in many shows together and traveled together as well. I worked with Thomas in his home office and managed the record label alongside my Wife & Curtis Urbina. Thomas was very very dear to me and he called me his brother and I thought of him as mine as well as a mentor and an inspiration. We were family. He was a generous and thoughtful human person and I have an unconditional respect for him and what he has contributed to my life and others around him. Thomas did not have a large circle of close friends while in Miami Beach, but he had many fans and admirers. My Wife and I were very very close to him and spent a lot of time on a weekly and sometimes daily basis. We stayed at his home when we returned from our travels out of the country. I want to share one of my favorite moments with Thomas. We were on our way to North Carolina for a gig. When we arrived to the airport and before we left the building he asked to see my headphones. I had an idea as to why…He had noticed that every time we did a show together my headphones were torn tattered and taped at one end as they had cracked and I never got around to getting a new pair.But it drove him mad and he always asked “Why wouldn’t you go out and get a new pair and get rid of those gawd awful headphones?”, they were too painful for him to look at. It actually became such a joke that I held on to them as long as I could. I pass the headphones to him and he asked me to take one last look at them, I happen to have my camera out and snapped a picture as I was nearly falling to the floor in hysterical laughter as he threw them away. He passed me his extra pair and said “These are yours now, These have been around the studio since forever, and some of the biggest players have worn them from New York to Miami so take care of them” I still have those headphones today. And we laughed the entire trip….was one of my favorite moments with him. I miss my dear brother. I am deeply saddened to lose such a dear friend and one of the best soulful house producers I have known. He gave me huge support and inspiration, and motivated me so much over the years. This is one of house music’s true ambassadors and an un-sung hero from my perspective. He was an amazing human being and gave so much to the people he knew. It was an absolute honour to know him for the time that I did. To say that he will be missed is an understatement. Much love and respect to you Thomas and may you rest in peace my brother! x Sean. Thomas was a very dear friend and we’d become very close over the years , he was warm , inspiring ,kindhearted , passionate and so very humble it was always a pleasure to be in his company he was without a doubt the most generous person i’ve ever met. His passion for music was infectious, I learned so much from him over the years he was very supportive to me and many others ..his knowledge of music and his enormous vinyl collection was incredible ..as a producer he was one of the best ..he knew exactly what he wanted and wouldn’t stop until he got it..even if it meant searching for 5 or so hours for the right kikdrum ..his attention to details was immense. Along with his label partner Curtis he’d grown Deep Haven into one of the best Soulful House imprints out there the consistent pedigree of releases were a tribute to his passion. His music & spirit touched so many people across the globe. He was always there for when i needed someone to talk to .. he was a true gentleman ! I will never forget him …….May his legacy live and shine on brightly for many a year to come . IT IS WITH GREAT SADNESS That i’m letting all those who knew or know DJ Man X aka Thomas S., a great friend to me, a great label owner, a deep house/soulful house champion and founder of Deep Haven Music has passed away.I’m not only in shock but INCREDIBLY heart broken.This man was not only generous but incredibly kind, funny, real and a true house music lover.The Soulful House & House Music community in general has lost a great man, his label’s legacy will not be forgotten and I will make sure of that.My condolences go out to his friends and family.Mad Love T & I will truly miss you and our many conversations but most importantly us sitting together in Miami while you puffed your cigar and we just kicked and listened to good music. Thomas was a dear friend and always made me smile. My condolences and prayers to his family and friends. I shall miss him greatly. I pray he rest in peace in the arms of our God. I will miss Thomas and his unshakable love for the soulful side of house music. I enjoyed working with him and wish his family and friends my condolences. I’m sure we will all miss him this year in Miami as I know many of us have spent a day or so during WMC with him at his home talking about music and classics and meeting other mutual friends. I was shocked and saddened when I heard the news of his passing and hope he rests in peace! Words are difficult to come by when you feel such a loss in your heart.Thomas was a friend,simply that,a word that many of us easily say yet don’t take into account how amazing such a relation can be. he will be forever missed and I thank him for being my friend.god bless. Thomas always treated me as a friend, a very kind and inviting soul. We had the honor of collaborating together. You will certainly be missed. The Deep Haven / Cyberjamz Pool Party at the WMC 09 had to be one of the best ever featuring Thomas (Dj Man-X),Reelsoul Rodriguez,Sammy Rock of Cyberjamz Radio/Records,Carolyn Harding & Mario Inchusti. He was not only a business partna but a close friend to me.Thomas was also a Cyberjamz Radio music programmer for some time and we spent many nights over at his house talking and playing music… sorry Im torn………. He will be missed by us all ! Thomas was a very generous and kind person,he reached out to me and we became good friends. In my personal opinion to say Thomas was one of the better producers in the game would be an understatement,but to me he was much more than that,he was my friend. I will miss him dearly as will everyone that knew him,as well as everyone that was blessed enough to bear wittness to his music.May GOD rest his soul. The word “generous” has been used over and over to describe Thomas. No one is more deserving of that reference. Thomas was the most benevolent person I have ever encountered. He was very genuine and extremely passionate. I admired him for that. Every time we spoke he had kind and encouraging words. He was responsible for many smiles and good times in so many people’s lives. The impact he had on those who knew him will never be forgotten. I heard today about the recent passing of Thomas Spiegel, aka DJ Man X. Sad News. I have supported his own productions and the releases on his Deep Haven label for many years. I didn’t have a close relationship with him although we had spoken at length about studio collaborations and he regularly invited me to his home in Miami during the times of WMC. Everyone has nothing but great words to say about the man. I genuinely felt a connection to Thomas when we spoke, despite not really knowing him. I wish I had taken him up on his offer now. Weirdly, this also really hit home to me without wanting to jump on a bandwagon and say he was my friend. Thomas was an extremely generous and passionate man. Very respectful of all the artists involved in the music. Even if he didn’t like the politics of the business he would always welcome all into his home and his world. I regret not having a longer friendship with him but his legacy will certainly always live on. And as a producer he was definitely highly underrated in my opinion. He made some incredible and I mean incredible music and poured his heart, soul , emotion and definitely finances into all of his projects. God bless u Thomas, u will sorely be missed. My heart is so sad. Thomas you were a great friend and my buddy for years. You lived life through your passion for our music and a finer connoisseur of vinyl, I will never meet. I will treasure my memories of our good times together. Rest peacefully my friend and know you will be greatly missed. Thomas’s pool parties were always I e of the best intimate parties of the WMC. Although I hadn’t spoken to him in a while I thank him for giving me the opportunity to work on the remix I did with with Blaze for his label. May God rest his soul. I had the pleasure of meeting Thomas in Miami numerous times, we were mutal fans, he of my products and me of his wonderful music. His love and pure passion for music is what drives me forward to always improve, he was an inspirational person to be around. His music will live on in everyone it has touched. If you can come into this world and make someone laugh, smile, dance or sing to something you have created then you have been blessed, Thomas was blessed and he will always be in peoples hearts, God rest his soul. Our friend was one of the most generous (in every sense of the word) individuals I’ve met. WMC will never be the same again for me and those of us that were entertained at his Miami parties.I will remember you Thomas for your kindness, generosity, the warm friendship you always gave, and the beautiful music we shared together.Thomas has left a wonderful music legacy, which was made out of pure love for music.R.I.P. Brother. may it shine on in us all forever ..Rest in peace. music. I was always thankful for Thomas’s lessons on the house genre. I will always have you in my hearth my friend. Rest in peace and thanks for all these years we have shared together. Just arrived a little bit late, ‘cause I’ve met in person Thomas in Miami during last WMC2012. Then we’ll took a picture all together and spoke about music and production for a while before leave the party. This is one of my highlight moments from the last WMC. I’ve always estimated this Dj/Producer/Manager for what he does during these years and also because the DHR history is placed side by side with Gotta Keep Faith history since those labels are born in the same year. Thomas passed untimely and this has changed radically my life. I think that his close Miami’s Dj’s & Producers must to keep alive DHR….must do it for him…and I’m sure they will do. May you be blessed, Thomas.